Our #TransitHubbing Adventures in Toronto: The Great TTC Debate! 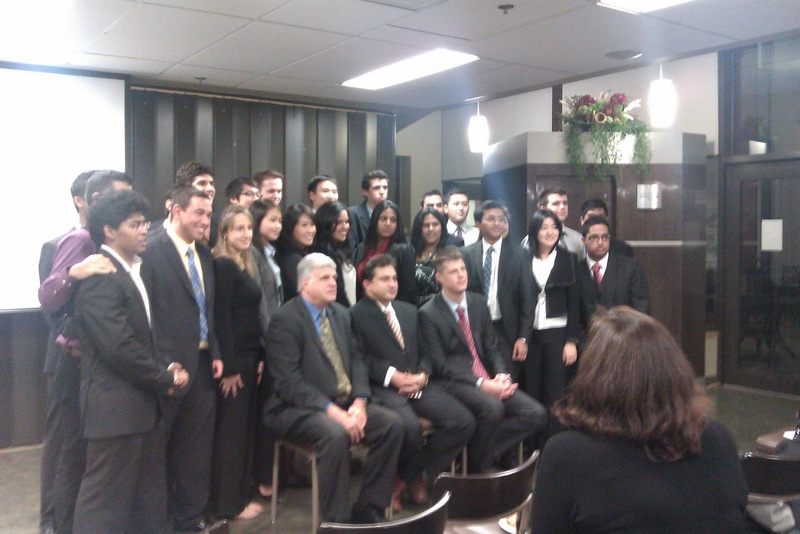 This past Thursday, Oct. 27, 2011, the heat turned up on the discussions surrounding the city of Toronto's vision for the future of public transit in the region. 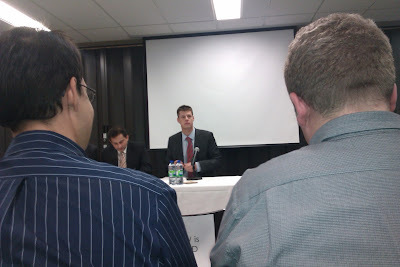 In one corner, Adam Giambrone, former Chair for the TTC and an advocate for public transit and the Transit City plan. In the other corner, Wendell Cox, Principal of Demographia, with a more holistic point-of-view on solving the city's congestion problems. These opposing transit dynamos met head-on at the "Moving Toronto: Debate on the Future of the TTC" event held at Ryerson University's Ted Rogers School of Management. The debate raised many questions: how will Toronto's increasing congestion impact our plan for public transit? What roles do buses, streetcars, and subways play in the mix? Why don't we just build new freeways? Each discussion forced the audience to ponder how we'd handle transit in this city. 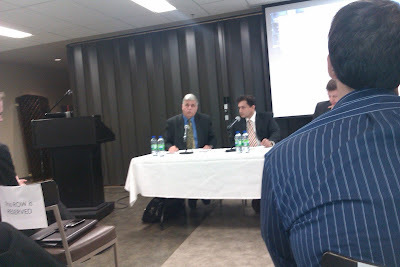 @freepublictrans: #TTCdebate -- @TransitHubTO -- tell them make the buses fare-free and it will soon become obvious where to put #rail. 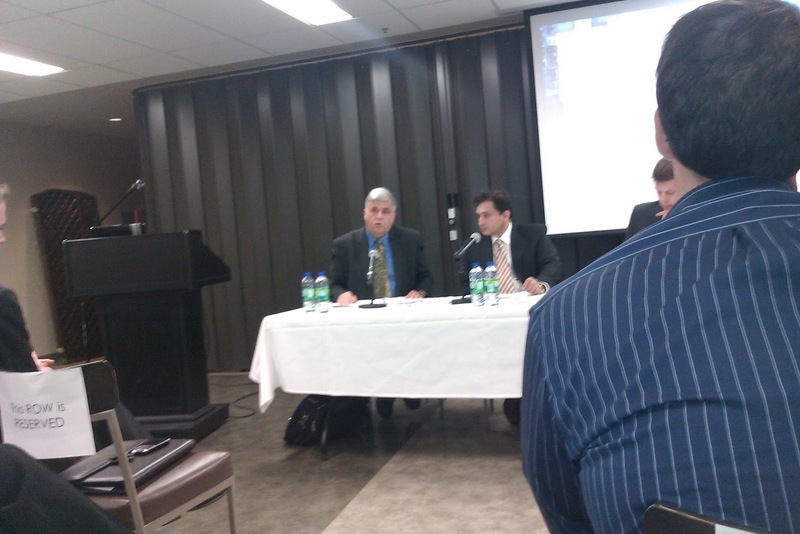 @freepublictrans: #TTCdebate @TransitHubTO -- subways send people underground to make room for cars. Why not just get rid of the cars with #freetransit. @freepublictrans: #TTCdebate @TransitHubTO -- 40% of the traffic in New York is people looking for parking. What should the future of public transit be, in YOUR opinion? Comment below and let us know!